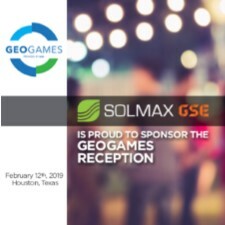 IAGI is hosting the inaugural GeoGames, sponsored by AGRU America, on February 12, 2019 in Houston, Texas, USA. This fun event will feature welding competitions by teams of competitors. It will be an exciting event with geomembrane welding games and a reception, but it will also highlight the professional and the vital work our installers do every day. GeoGames will feature teams of welders competing against each other and welding various geomembranes in different configurations. This affair will be held in conjunction with the Geosynthetics 2019 conference in Houston, Texas, USA. The GeoGames will be held at the park across the street from the conference hotel. IAGI is seeking sponsors for the GeoGames. If you are interested in sponsoring the GeoGames, please check out the opportunities available to you. All sponsorships are available on a first-come-first-serve basis. Sign up for sponsorships will be available starting on August 1, 2018. A PDF of the sponsor flyers is available here. IAGI is taking applications for the welding teams. We welcome all Certified Welding Technicians (CWTs) to put together a team and sign up to compete. For the team information, check out this link. The teams may consist of 2 – 3 people. A PDF of the team application that can be printed and filled out. A PDF Form for the team application that can be filled out, saved, and sent via email to [email protected] You will need Adobe Acrobat to save the PDF Form. Many dedicated people are working to make this event successful. We could not put this together without their contributions. Check out the Committee Members. How did GeoGames get started?